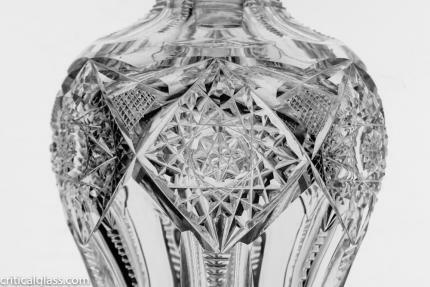 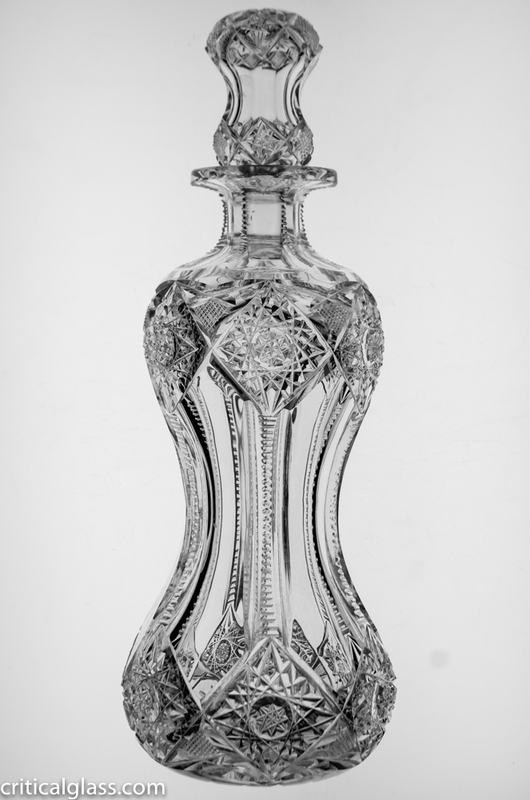 This gorgeous decanter was cut by Jewel Cut Glass in their Colonial design. The shape and form are fabulous with an hourglass decanter body and matching stopper. 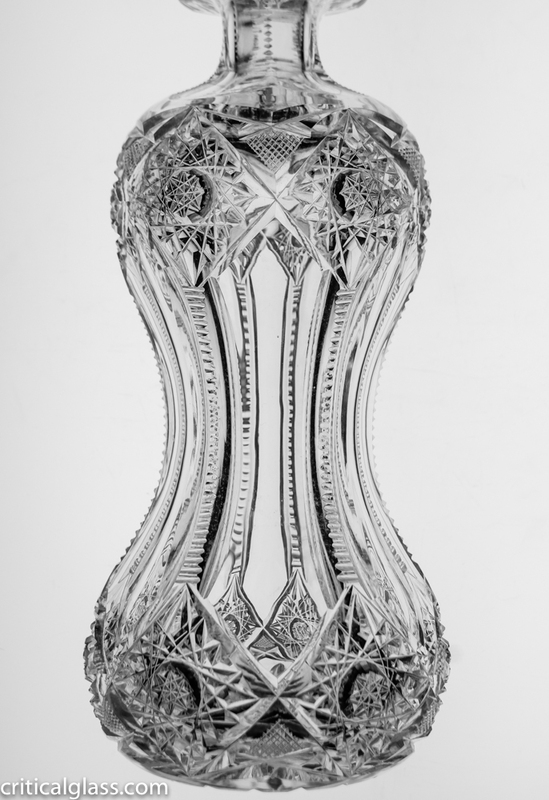 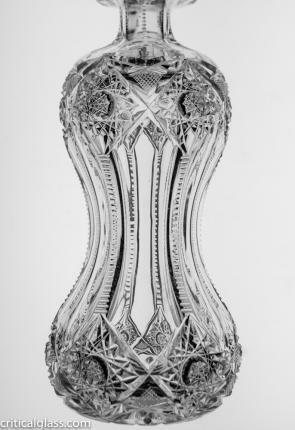 Chains of hobstars decorate both the top and bottom of the piece with crosshatching lying between each one. Clear flutes extend down the body of the piece separated by a long strand of notching. 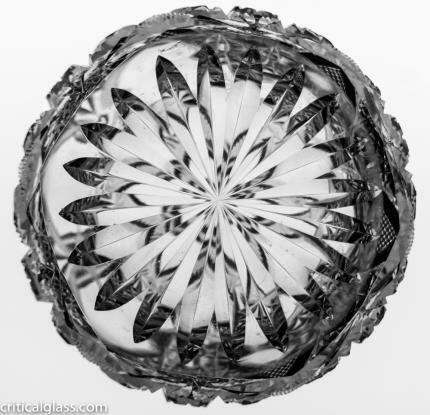 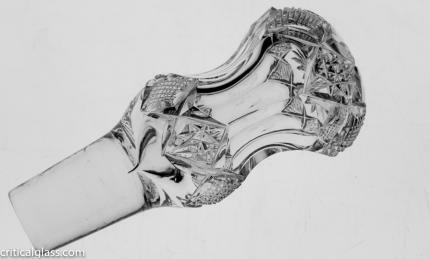 The stopper parallels the entire piece with alternating hobstars/crosshatching and clear flutes. 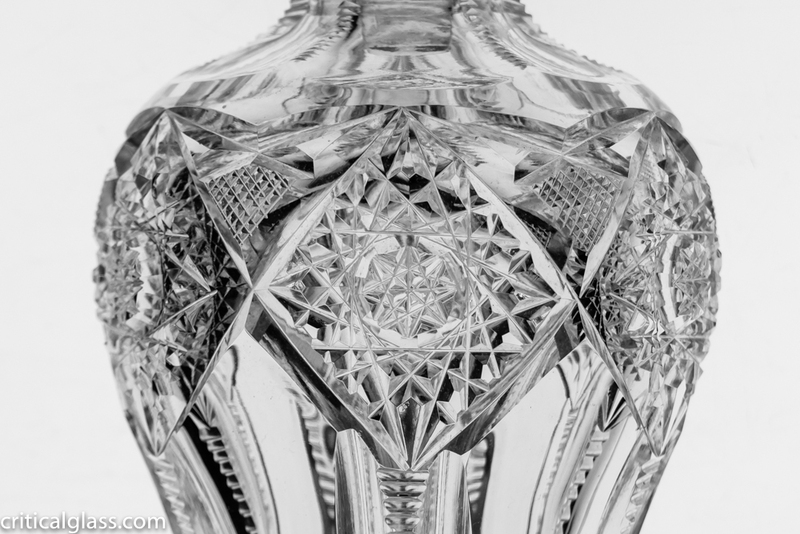 The base and top of the stopper are finished with a rayed star.